As a society, especially in the U.S., we make a big deal out of the holidays when in fact they’re not a big deal at all. Let me explain. Do you really need a greeting card company or retailer to tell you when to show your appreciation for someone? Know, you don’t. You can, for instance, send your mom a bouquet on June 21 because you wanted her to know you were thinking about her. Furthermore, it doesn’t make financial sense to go into debt because you feel guilty that you can’t afford the most expensive gifts. And let’s face it. Most kids these days would prefer cash or gift cards. I beg you not to let the holiday season drive you into a tizzy! But if you’re spending them with your family, here are some tips on how you can actually enjoy them. And dare I say, you may even find yourself smiling at how you used to get upset by all of the drama (unnecessary) that they bring. 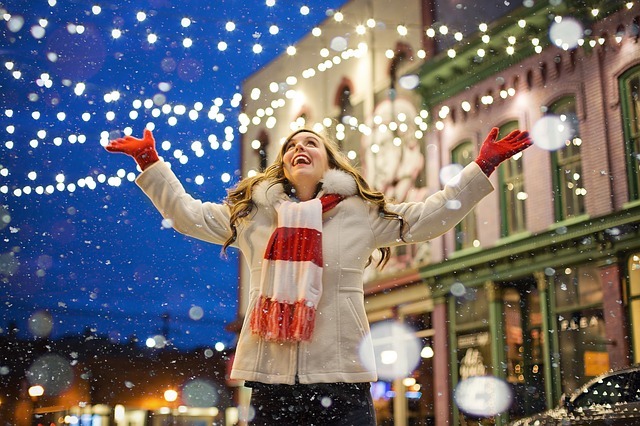 Use the following tips so that you can enjoy the holidays instead of dreading them. A total Christmas miracle! Who knows? Your family and friends may not even recognize you! According to an article on the Mayo Clinic, “Exercise in almost any form can act as a stress reliever. Being active can boost your feel-good endorphins and distract you from daily worries.” If you don’t know what endorphins, they’re feel-good neurotransmitters that your brain produces when physical activity is performed. It doesn’t matter what type of exercise you do, from running to power walking, treadmill, lifting weights, swimming, Pilates, etc. Just get moving, and before you know it, you’ll forget about being stressed out because of the holiday season. Plus, bonus to working out is that you’ll strengthen your muscles, tone your body, and feel better. You may even find yourself walking up to the door of your parent’s home with a smile on your face. And if you’ve experienced holiday travel, that’s a good thing! Before you visit your family for the holidays, get into the right mindset. Pray, meditate, read a book, journal, create of list of ten things you are grateful for, go to church — do whatever you need to do to get yourself into a positive mindset. Why? Because you’ll have a much better time. In the article, “The Benefits of Cultivating an Attitude of Gratitude,” Dan Mager, MSW, “Gratitude is about feeling and expressing appreciation: for all we’ve received, all that we have (however little it may be), and for all that has not befallen us.” It’s true that your family may drive you nuts, especially if you’re still single and not dating someone, you could be thankful that you have a family. After all, someone, someplace, who doesn’t have a family would trade places with you in a minute. Learn to love people for who they are. Accept that you can’t change them because the only person you can change is yourself. You may also want to see the good in your family because after all, you probably have faults too. We all do. If you find yourself getting annoyed with everyone asking you, “Why are you still single?” Why aren’t you dating?” “What’s wrong with you?” Count to ten and politely excuse yourself. Go for a walk or even go to the bathroom. Get away from the dinner table and clear your head. Instead of getting mad, be grateful that your family cares. While it may not seem like that at the time 20 questions are being fired at you, your family wants you to be happy and has your best interest at heart. Before you head out the door to your family and friends to celebrate the holidays, set your boundaries, if someone gets out of line, politely and firmly put them in their place. You don’t have to mean. But you do have to let people know what behavior is and is not acceptable. And if those around you don’t get the message, you may want to consider whether or not spending the holidays with them is a good idea. Don’t let the holiday season put a damper on your life because you can get through the holidays! Remember, it’s only a few days out of the year that you may have to drive to your parents or in-laws or fly back to your home state. Instead of dreading it, enjoy your time off from work (if you get the holidays off) and be grateful that you get a chance to rest and relax. As you know, most families don’t look like those portrayed in TV shows and movies from yesteryear. They’re messy and complicated and drive you nuts. But know this. If you have family and friends to spend the holidays with, count your blessings. They may not be perfect, but chances are you aren’t either. So, get over stressing out about the holiday season and enjoy it. And if you can’t do that, well, maybe you can volunteer and give back to those who may not have as much as you. Who knows? It may make you want to pick up the phone and call your parents, siblings, and friends and thank them for being in your life.